ANOTHER MEGA-SYSTEM DISASTER « THE BRYCE IS RIGHT! For more than 30 years I have had the pleasure of watching the development of some rather large and complex information systems, particularly for manufacturing, banking, insurance, and government. I have also had an opportunity to observe some rather massive system disasters in both the corporate and government sectors. It’s rather unsettling to see companies shoot themselves in the foot on such projects, but it seems to have become somewhat routine in the last decade where I have seen banking systems fail, transportation systems collapse, and medical systems die a slow agonizing death, at considerable expense, usually in the millions of dollars. Recently, I was watching an episode of “60 Minutes” (The Espionage Act: Why Tom Drake was indicted – May 22) which discussed the prosecution of a whistle blower at the National Security Agency (NSA) regarding the development of a major system to be used in the War on Terror, code named “Trailblazer.” This system represented a massive effort to modernize the NSA and was started shortly after 9-11. Although the intentions of the developers may have been good, the project started to spiral out of control almost from the beginning. Instead of using internal resources, Trailblazer was developed by major DoD contractors with some rather well known names and reputations. As it was a classified project, I obviously was not made privy to the details of the project. However, having read what is publicly available, and seen many other mega-snafus, I think I have a good idea what happened. Trailblazer eventually died a slow and painful death; even the NSA dubbed it “an expensive failure.” Unlike the other system snafus I’ve seen, ranging upwards to $100 million in costs, the project cost more than $1 billion to the taxpayers, the largest mega-system disaster I have ever known. The point is, it did not have to be such a tremendous waste of money, time and effort. 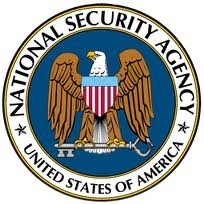 Had the people in charge at NSA had a defined road map for the project, it could have easily been brought under control and they would not have had to leap before they looked, but because of their blind-faith in technology they pressed forward without properly doing their homework. Again, Trailblazer was not unique in its failure. In fact, it typifies how major systems are botched in this country today, and why companies are skeptical of tackling such efforts. Instead, they are content to tackle minuscule programming assignments which they hope will be able to integrate into their systems. However, without a blueprint in place, the chances for success are slim to none. Yet, it is this “cut and fit” approach to systems development which is now the prevalent mode of operation in most companies today and, as a taxpayer, I am concerned Trailblazer will not be the last billion dollar systems disaster the government will produce.